In order to achieve this goal we must first understand what b2b is: It means Business to Business and focuses on the communicative relationships of marketing that exists directly between companies instead the ones that are business to customer or customer to company. This kind of connection works perfectly for the kind of company that provides products, services and benefits directly to other companies and help them be able to obtain these products, services or benefits without intermediaries and in a more efficient way. 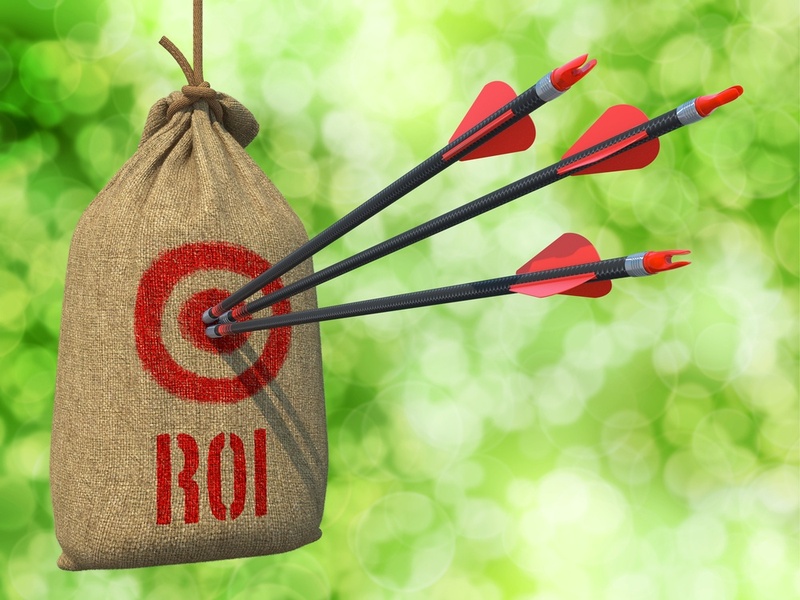 And the acronym ROI, as you should know by now, stands for Return of Investment. This is a very important matter specially when talking about digital globalization and exploiting its resources. One of the most digitally-aware mobile-friendly audiences on the world is found in the UAE. Studies have shown that around 78% of the population owns at least 1 smartphone. There is a penetration in the population of the UAE of 85% which is a considerable quantity, especially if we compare it with the 68% of the United States up to 2018, for example. However, one of the issues is that this enormous numbers do not necessarily expresses the activities in digital businesses in the UAE. This is the main reason why we need to put up some effort in order to employ this knowledge in a productive way. It is commonly know that a big number of b2b marketers usually spend a big part of their time pouring water into leaking buckets, metaphorically speaking. They try to keep the bucket (marketing funnel) full by pouring more water (traffic) into it instead of fixing the bucket. This will unavoidably cause inflated acquisition costs and results that are below the average. The biggest issue in this case is your landing pages and, in almost every case, your forms. You have to remember that your forms will separate your potential leads from people in general. This has a great impact in the conversion rate of these leads and thus, the lead generation results. In order to fix this and avoid “pouring more water into the leaking bucket” we highly recommend you to optimize your forms. You could also use a tool called Leadformly to ensure that leads are not being left behind from your campaign. This will definitely increase the percentage of visitors that will be converted into leads as well as lowering your costs. And the best of this is that by applying this knowledge you will not have to pay more money to increase traffic, on the contrary, you will be able to even triplicate the amount of visitors that will become leads. If you continue doing so, your lead numbers will end up increasing more and more. Remember, the important thing is to repair the bucket—optimize your landing page and forms. Being 23 years old, e-mail is the oldest messaging method that we have nowadays and which is still strongly used. This channel is still among the most important channels employed by b2b marketers. Marketing automation is a current trend that has produced incredible results in B2B marketing. So, in order for you to take advantage of this resource it is important for you to understand what marketing automation is. It is an effectively designed hybrid tool for e-mail marketing that connects with your CRM. This helps you be able to send highly targeted e-mails automatically to your leads and these e-mails are accurately and specifically personalized for them. The public accounting firm Crowe Horwarth produced more than $250,000 in revenue. This was attributed to content marketing and it happened after creating a total of 48 infographics, videos and Q&A blog post. This content targeted C-level Prospects of large market caps financial institutions. This is only an example of how content marketing can help your business grow. Especially for B2B marketing, there are companies that have shown from 6 to 10-figures growth which is huge. For 2B2 leads, one of the most valuable long-term strategies is arguably organic search marketing. People who have work directly with big marketing campaigns have reported revenues of 4 million euros and a lot more. By applying SEO knowledge you will help your marketing campaign be placed in the right track. It is very important to focus on conversion rate marketing, as well as social marketing and content. However, it has become more and more difficult to be able to become number in Google nowadays because of all the competition that now exists. So remember to always make the proper research when leading a big marketing campaign since this will result in the growth of your business. People usually find it controversial to name social media as one of the most effective B2B marketing plans. Since it has helped only few companies to take advantage of this great resource and be able to growth in lead generation. However, this does not meant that this channel does not work for B2B marketing lead generation. It just means that the problem is the companies do not usually come up with the proper strategies in order to exploit this amazing channel which is Social Media.